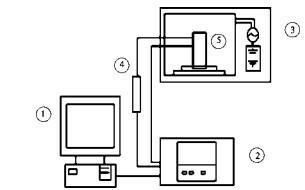 Abstract: microwave drying equipment, sample size and thickness were selected as three main factors to conduct single factor experiment design. The factors affecting the microwave foam drying characteristics and the quality of Lonicera edulis powder were analyzed. The moisture content, anthocyanin and vitamin C content of dried Lonicera edulis powder were taken as the target factors. Orthogonal test was applied to the microwave foam drying process of Lonicera edulis powder. Test optimization. The results showed that sample loading was the main factor affecting the quality of indigo fruit powder, followed by power and thickness. The optimum technological parameters of microwave assisted foam drying for Lonicera edulis were: microwave power 7 kW, sample loading 200 g, and material layer thickness 8 mm. Lonicera edulis, a perennial deciduous shrub with berries and bright dark rose juice, is the scientific name of Lonicera edulis. In China, it is mainly distributed in the eastern mountain areas of Changbai Mountain in Jilin Province and Daxing'an Mountains in Heilongjiang Province. Indigo indigotica has high nutritional and medicinal value. It is rich in many vitamins, amino acids, zinc, selenium and other minerals and other trace elements. The content of VC is higher than that of apples and citrus, and it contains rich VP active substances. It has high medicinal value. Polyphenols are combined. It can reduce the incidence of heart disease, cancer and other chronic diseases, such as anthocyanin, rutin, catechuic acid and so on. 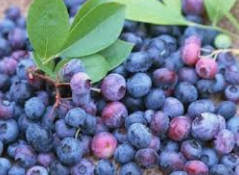 But blue indigo fruit has short picking period, thin and juicy peel, easy to damage and cause mildew during picking. It can not be stored at room temperature for 24 hours and is extremely difficult to store and transport, so the loss rate of blue indigo fruit is very high. How to improve the storage period and reduce the storage loss of Indigo indigotica has become a research hotspot. Foam drying technology is suitable for drying food materials with strong heat sensitivity, high viscosity and high sugar content. Lonicera edulis has high sugar content, and foam drying can reduce or avoid sticking phenomenon. Foam drying method has been used for drying mango, banana, carrot and other fruits and vegetables, but foam drying method has not been reported in the processing of Lonicera edulis. Conventional foam drying is based on high temperature and hot air as drying medium, but there are more heat sensitive components in Lonicera edulis. When heated, it is easy to lose nutrients and active substances, and the air in the foam will impede heat transfer to the inner layer and limit the drying speed. Microwave drying generates heat by exciting polar molecule oscillation by microwave energy. The heat is transferred from inside to outside by bulk heating. It has the characteristics of high thermal efficiency and low drying temperature (compared with hot air drying method with the same drying speed). It has been widely used in the dehydration processing of ferns, carrots, apples, Flammulina velutipes and other fruits and vegetables. In this study, microwave heating instead of hot air is used for foam drying of drying medium. It can be used to maintain the biological activity of active substances of Lonicera edulis, dehydrating and processing the Lonicera edulis pulp, maintaining the original flavor, color and nutrition components of fresh fruits, so as to obtain the Lonicera edulis powder with high nutritional value and good product quality. This fruit powder can not only preserve the nutritional components of the original fruit, but also facilitate the storage. It has a broad market.